Security is tough; we face an explosion of security data, a daunting skills shortage and ever more persistent attackers. We need ways to upgrade our capabilities and people. Let’s make some big bets to supercharge our intelligence, our interactions and unite, to get us ahead of tomorrow’s threats today. Kaja Narum, makes a difference with great enthusiasm, engagement and sales cadence through her sales team. Kaja has held several sales leadership positions where her goal has been to build-up, inspire, strengthen, change and transform the sales team to drive and deliver growth. 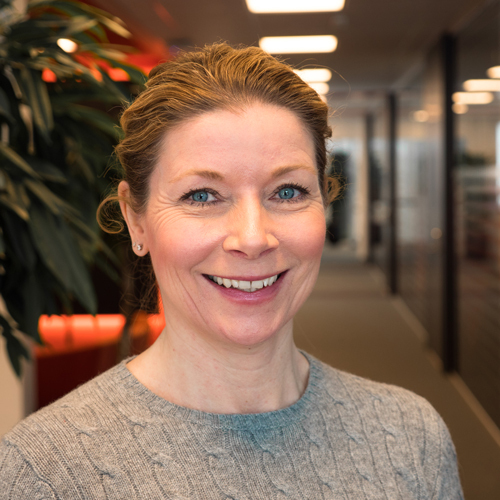 Throughout her career she has always been one of the contributors in the cyber risk and security community, where she has been on the list of strong influencers the last 10 years in the Nordic countries. Kaja has served as Business Unit Leader for IBM Security , Nordics since November 2017 and cover the Nordic countries, responsible for Solutions Sales as well as Security Service Delivery with an organization with close to 200 employees. Before joining IBM, Kaja served as Sales Director for Security Solutions at Verizon and did cover all countries in Europe apart from UK & Ireland, France and BeNeLux. Kaja, a Norwegian works out of Stockholm, Sweden is international by heart. She did her double degree at University of Strathclyde, Glasgow, Scotland and University of Guelph, Toronto, Canada and holds a Joint Honours in International Economics and Hospitality Management.